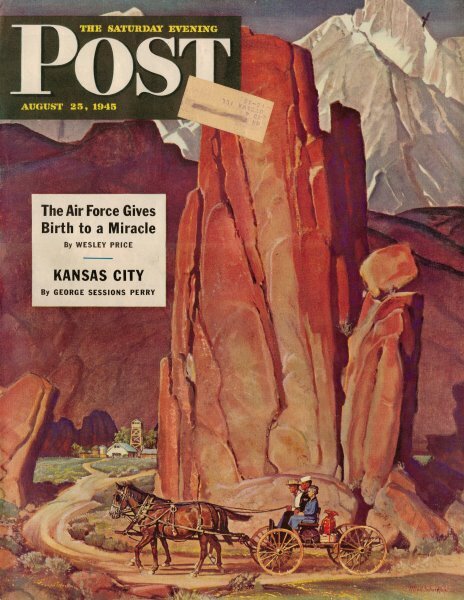 Here is an advertisement by Champion from the August 25, 1945, edition of the Saturday Evening Post. As with many of the advertisements of the era, this ad refers to the company's contribution to the war effort during WWII. 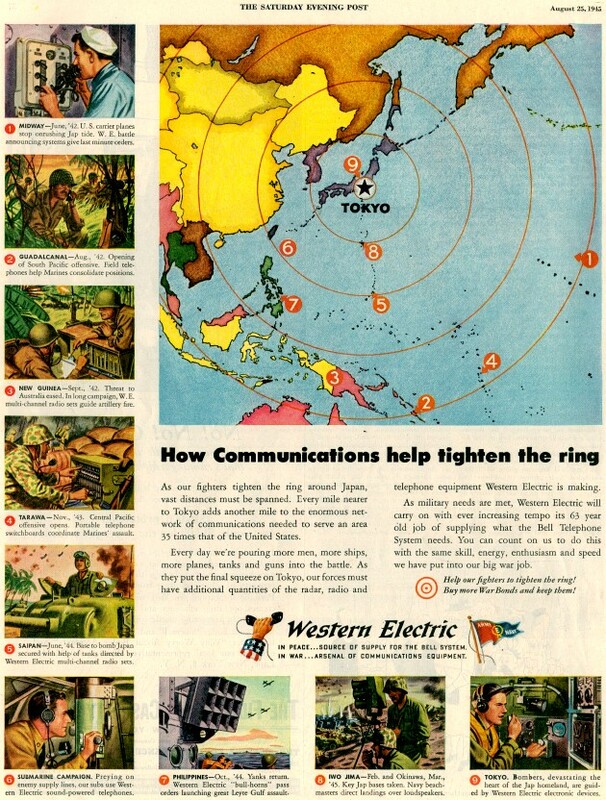 "How communications help tighten the ring," accompanies a map of the Japanese islands. All forms of battlefield and shipboard communications benefitted from the innovations of Western Electric scientists, engineers, and assembly line workers. "As our fighters tighten the ring around Japan, vast distances must be spanned. Every mile nearer to Tokyo adds another mile to the enormous network of communications needed to serve an area 35 times that of the United States [not including Alaska and Hawaii, which did not obtain statehood until 1958, ed.]. Every day we're pouring more men, more ships, more planes, tanks and guns into the battle. As they put the final squeeze on Tokyo, our forces must have additional quantities of radar, radio and telephone equipment Western Electric is making. As military needs are met, Western Electric will carry on with ever increasing tempo its 63 year old job of supplying what Bell Telephone Systems needs. You can count on us to di this with the same skill, energy, enthusiasm, and speed we have put into our big war job."